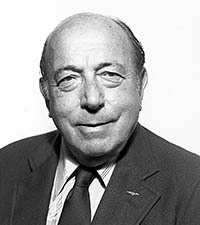 SEMA Hall of Fame - Ted Halibrand, 1983, Halibrand Engineering. 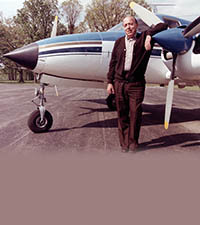 The term “mag wheels” can be traced to the racing wheels designed and produced by Ted Halibrand’s company. During the war, he worked for Douglas Aircraft as an engineer, where he often used magnesium to replace broken aluminum aircraft parts. He cast his first set of wheels out of magnesium in 1946, and their immediate success led to the formation of the Halibrand Engineering Co. in 1947. Referred to as “mags,” the custom wheels of today are steel or aluminum alloy. But it was Ted who introduced wheels of lightweight magnesium, sold exclusively for on-track racing applications. While Ted didn’t invent the performance wheel, his influence over the category looms large. His first customers were Indy racers. 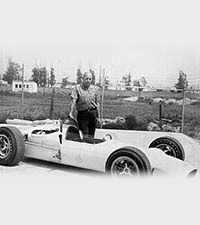 Ted also served as chairman of the United States Auto Club's Safety Committee, and was an inductee in the National Sprint Car Hall of Fame.